Relishing the road journey during summers is a hassle as the searing temperatures make it difficult to cover the journey with relaxation. You can get this problem at bay by dialing the numbers of Punja Sahib. 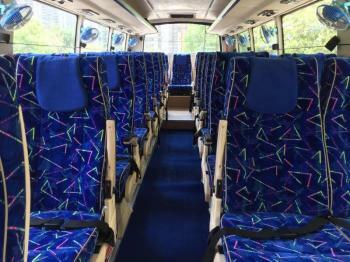 Based in New Delhi (India), we are the leading service provider of the ac buses on a rental basis. All the ac buses in the fleet are well-maintained so that no inconvenience is caused during the trip. Whether its a casual holiday or a MICE, avail our service of ac bus rental and make your journey comfortable!